You might remember when Instagram changed its Terms of Service. The revised wording led many to fear that their pictures would be hijacked by Instagram for use on advertisements. After an apology from Instagram CEO Kevin Systrom, Instagram changed the offending passages, but also instituted a mandatory arbitration clause which prevents any class action suits from being filed against the company. 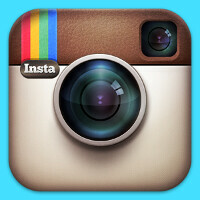 That didn't stop a class action suit from being filed in Federal Court against Instagram in late December. On Tuesday, Judge William Alsup dismissed the case, saying that plaintiff Lucy Rodriguez could not proceed with the class action suit. The facts of the case were never heard by the judge, who actually tossed the case on procedural ground. Judge Alsup said that there was a problem with the filing due to a legal rule that says that in a class action case, all plaintiffs must suffer a common injury. While a filing could be made in state court, it is pretty clear that it probably wouldn't succeed.